Let's discover the Best Musandam Tours with your options to discover the jewel of nature, called the 'fjords of Oman'. This amazing peninsula can even be explored on a Musandam Trip from Dubai ! Let me show you why you should not miss the place and how you can visit it, including great dhow cruise options. Why visit the Musandam Peninsula? How to visit Musandam Dibba Oman? It is difficult to put words on why you should visit the Musandam. It is such a unique landscape! Colorful fjord-looking mountains dropping into intense blue waters where dolphins like jumping in front of boats! People often says that it is the best part of their stay in Dubai 🙂 But check out Arzo's Dubai itinerary for more ideas here. For sure and Oman Musandam Tour offers a big contrast with the huge shopping mall of the UAE city. 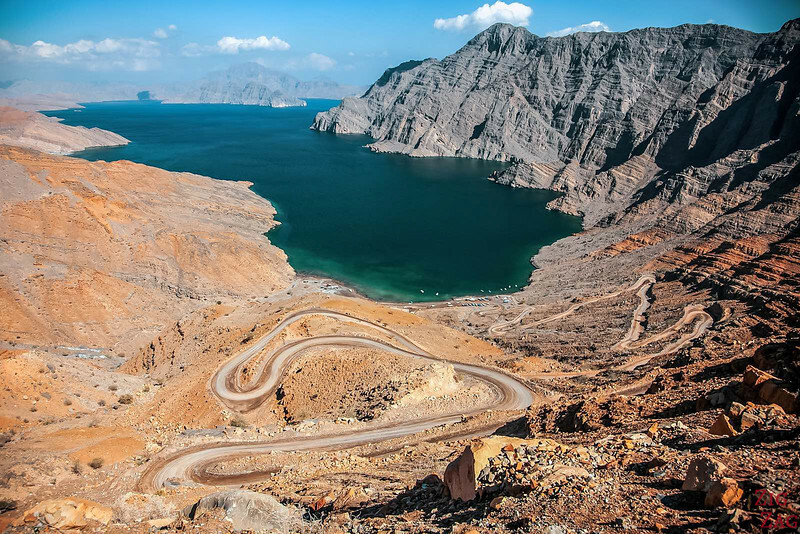 Even though the Musandam Peninsula is welcoming more and more toursit, the harsh environment remains mostly wild with only few villages there and there in the mountains. Where is the Musandam Peninsula? The Musandam Peninsula is a governorate of the Sultanate of Oman. But it is not adjacent to its mainland. It is located at the tip of the United Arab Emirates not far from Dubai and at the strategic location of the straight of Ormuz. How to get to the Musandam Peninsula? Oman Air completes daily short flights from Muscat to Khasab. It is fast, practical and reasonably priced. Ferries are run by the National Ferries Compay (NFC) between cities in the Khasab peninsula and between Muscat and Khasab. At the moment they run 3 trips a week from Muscat and 2 returns a week. You would have to contact them directly to book. And if you want to drive from Muscat, you will have to go through the UAE. Check out my hotel recommandation at the end of the article. 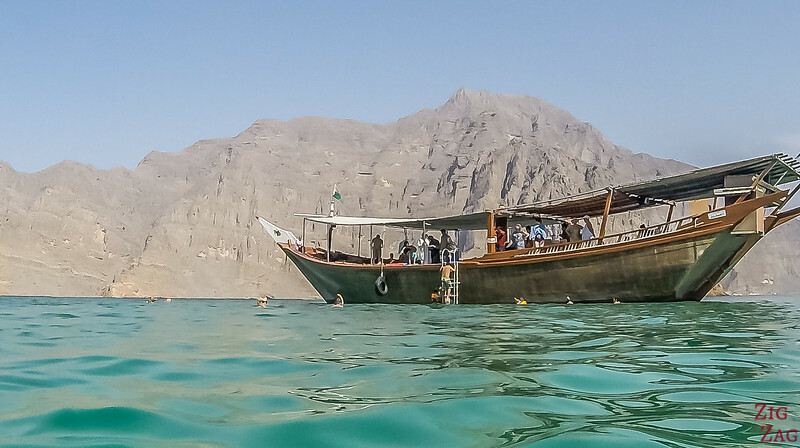 Most tourists in the Musandam Peninsula come from the UAE. It is very appreciated as a day trip from Dubai or as a long weekend getaway to Khasab. So I will start with options for that travel configuration. Then I will suggest Musandam Cruises and Musandam Tour packages for those who want to spend several days here and are reaching Khasab by themselves. 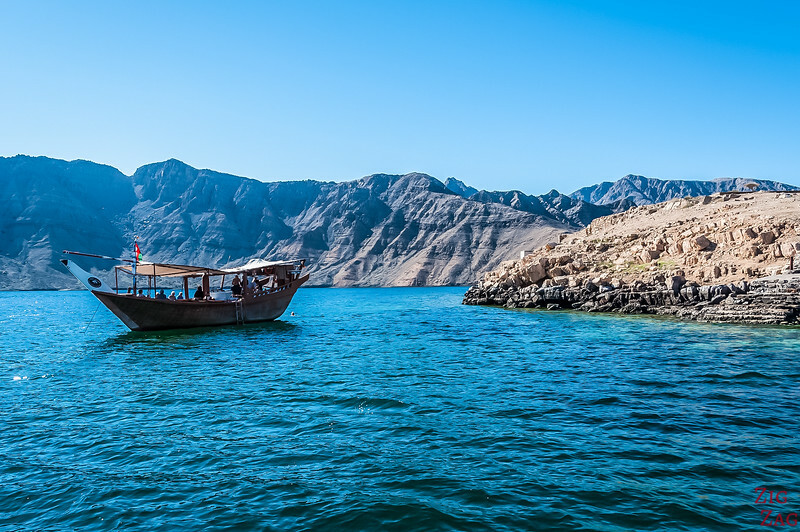 The most classic Musandam trip from Dubai is the Dhow cruise. Dhows are traditional Omani boats and they take you on a cruise to admire the fjord-like mountains, see the dolphins jump and snorkel in the beautiful waters to admire the abundant colorful fishes. The drive can feel a bit long and the border can be a pain, but all will be forgotten once you discover the amazing lansdcapes of Musandam. People mention it being "Amazing" or "Memorable" or "a fabulous day". Don't forget your passport to cross the border in each direction. Bring your swim gear and sun lotion! For those who get sea sick or want another view of the Peninsula away from everyone, you can go on a Mountain Safari. It will lead you to some of the best views in the area in the north or in the South. This tour will take you a 4WD on the amazing rugged mountains of Musandam in the South part of the region. 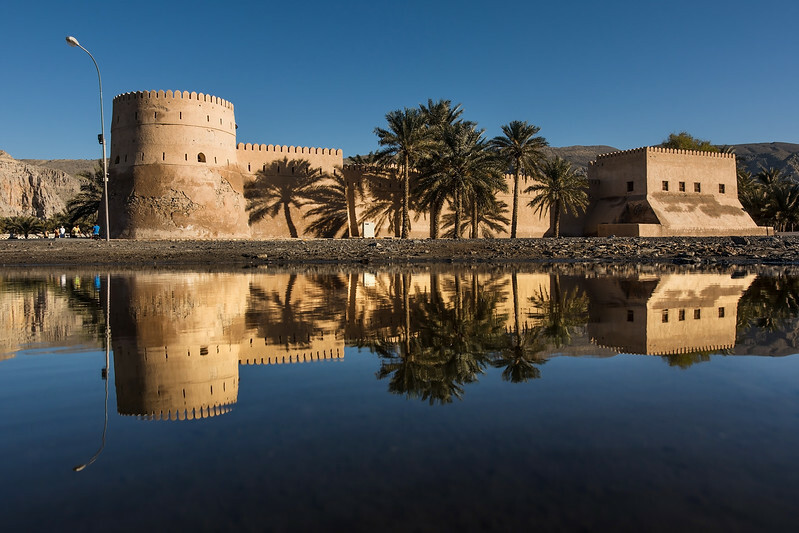 Away from the crowds you will drive through a magnificent wadis and discover the Omani way of life. There are other 4WD options offered by local agencies to discover the mountains and some of the best views in the North such as the one in the picture above. Once in Khasab, you go by dhow or speedboat to the popular diving spots such as Abu Sir Iceland, Al Khayal Iceland, Bu Rashid Iceland, Iceland or Musandam Khor Farda (Baby Beach). 2 dives are included. On this cruise you will pass small villages niched at the foot of those mountains and discover Telegraph Island in the Elphinstone Inlet, which were used as a telegraph relay. From Khasab, you go by dhow or speedboat to the popular diving spots such as Abu Sir Iceland, Al Khayal Iceland, Bu Rashid Iceland, Iceland or Musandam Khor Farda (Baby Beach). 2 dives are included. Kayaking is become a trendy activity especially in exceptional natural location like this one. The quiet experience gives you time to really appreciate the beauty of the surroundings and it allows you to get closer to the coast and explore caves. If you are staying in Ras ak Khaimah, most Musandam Tours also do pick up from there since it is closer to the border. If your are staying a couple of days and want something a little bit different you can explore the main city of the peninsula and learn more about its history. Are you staying overnight to have time to discover both the waters and the moutains? There is not a large choice of hotels in Musandam since many people do day tours from Dubai. One of the best rated accommodations is the Atana Musadam Resort. Guests appreciate the friendliness of the staff, the sea views and the pools as you can see in the picture above. 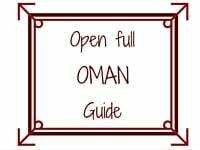 Want to see More of OMAN? Your hotel link goes to the sister hotel Atana Khasab Hotel. I would agree that the Atana Musandam Hotel is new and nicer. The staff are very friendly, the only issue is its a dry hotel.